Christina Wornick has been one of The Fountains at Canterbury’s Watermark Kids since she was 4 years old. 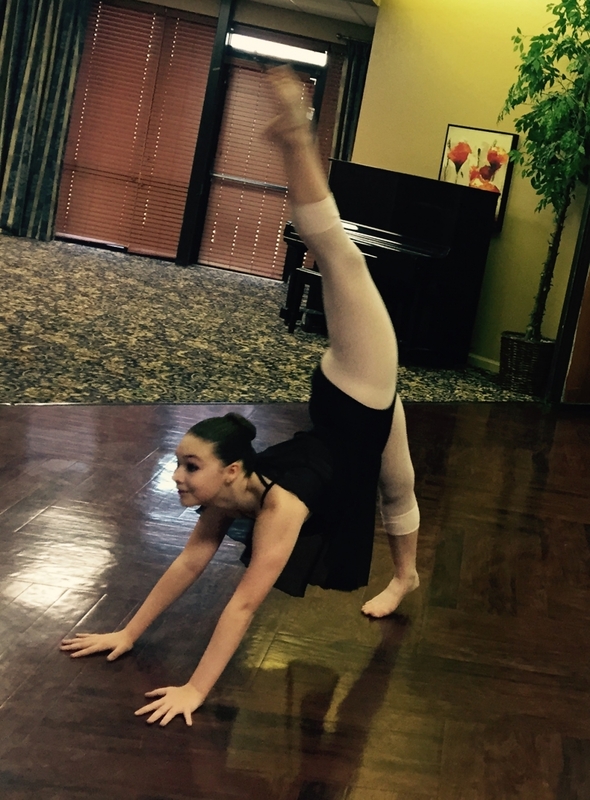 She is now 13 and it has been fun and amazing to see her grow and improve in all of her dancing throughout the years. 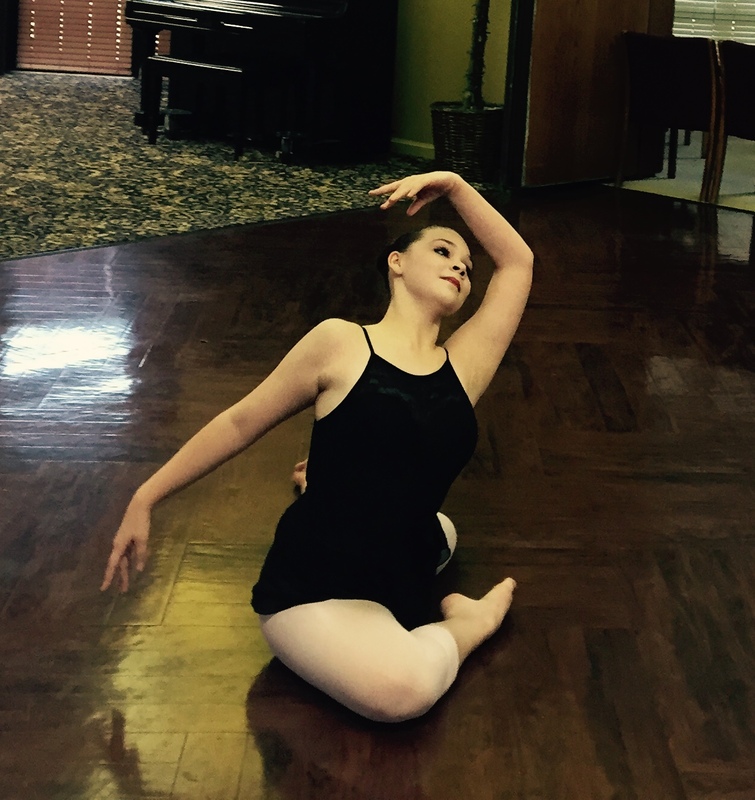 She takes ballet, jazz, and another form of dance that is more like folk dancing. 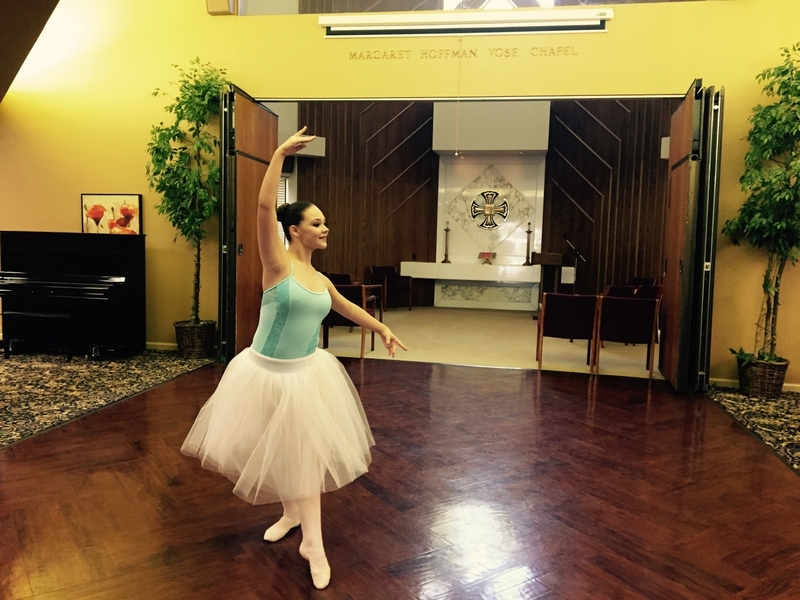 Christina takes classes six days a week and she volunteers one day a week with the tiny ballerinas who are just beginning. 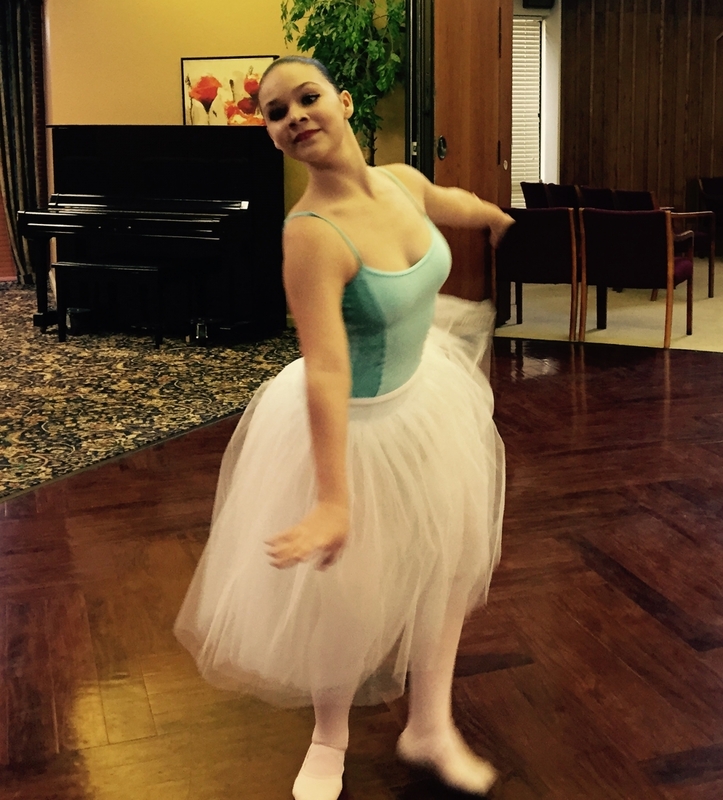 She loves helping them alongside the ballet teacher, and feels she can relate to what they are experiencing and direct them any way she can. 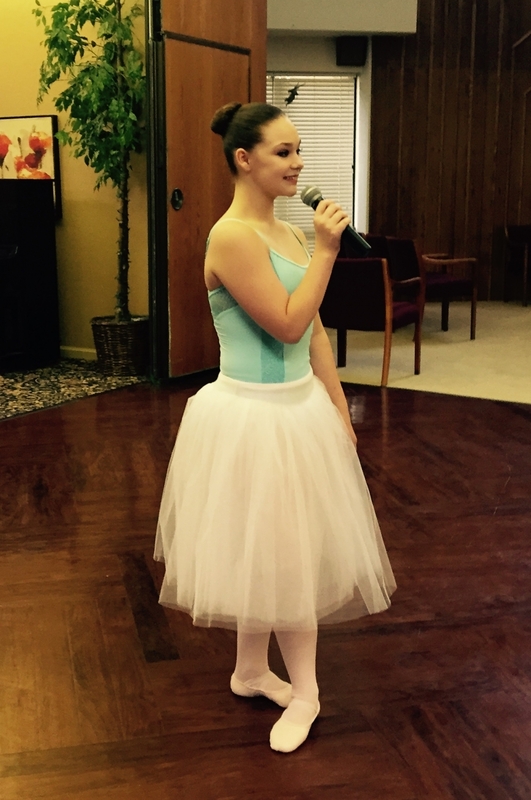 Christina shared her experiences with our residents and has become quite comfortable on the microphone…even throwing out a few humorous stories about her dancing parts on the stage. She has been in the Nutcracker every year. Due to her small stature, she has played a mouse, a bon bon, a little girl in the party scene. She doesn’t know what she will be this year, but her goal is definitely to be a Sugar Plum Fairy one day. She also played Toto in the Wizard of Oz (and received a write-up in the newspaper saying this was the best Toto they have seen yet!) and she had a part in Sleeping Beauty with the OKC Ballet. 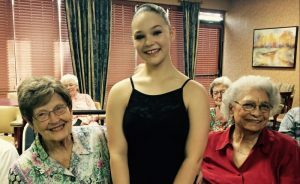 She expressed her gratitude to everyone in the audience for making it possible for her to take ballet all these years…it is definitely her passion and she strives to be a great ballerina one day. 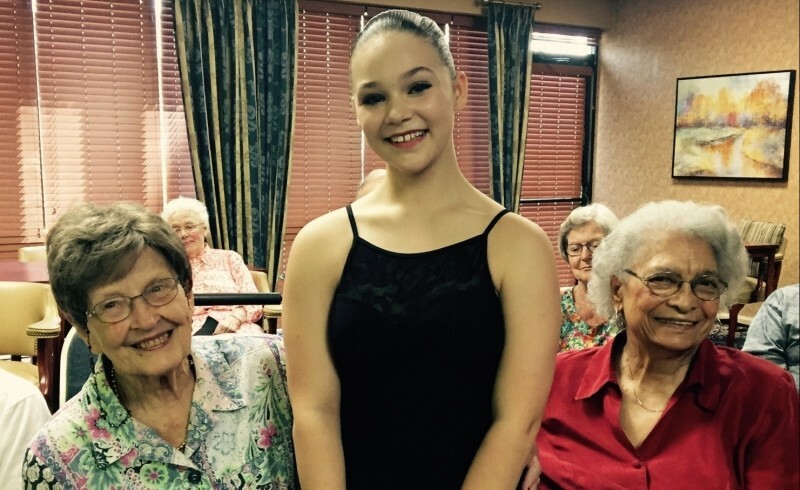 Christina lives with her grandmother who is so proud of her and drives her to all her classes and performances. You can tell they certainly brighten each others’ lives. Christina is home schooled and has been since she was small. She takes her classes on the computer and a teacher comes out to visit her monthly in her home. She is also tested just like children at the public schools on a regular basis. Her grandmother says she gets up at 6:00am every morning and starts the coffee for her, gets on the computer and starts her school lessons, works out at home, then runs to class daily. She also takes Tai Chi and volunteers at her church. We are very proud of Christina and have loved watching her grow into a lovely young lady. She will surely go far in life, as she has the determination and drive to follow her dream.